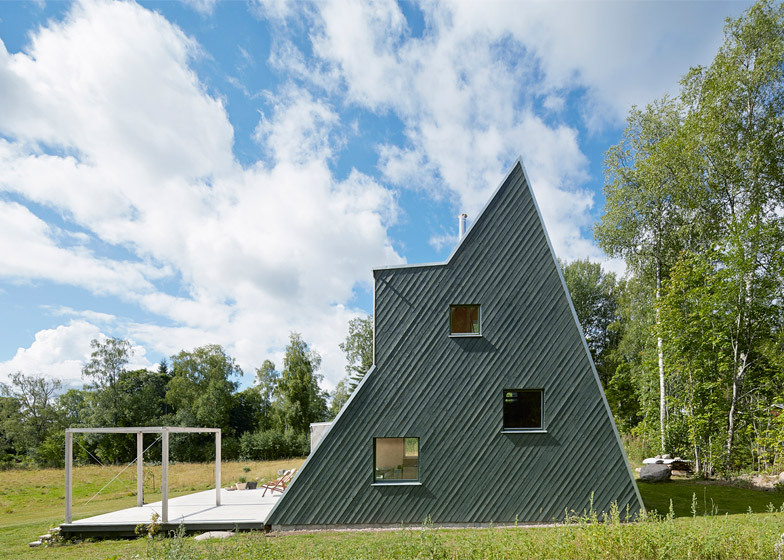 Described by the architect as being "a bit like a treehouse for adults", this wooden house in rural Sweden boasts a triangular profile that allows the sloping facade to become a climbing wall (+ slideshow). 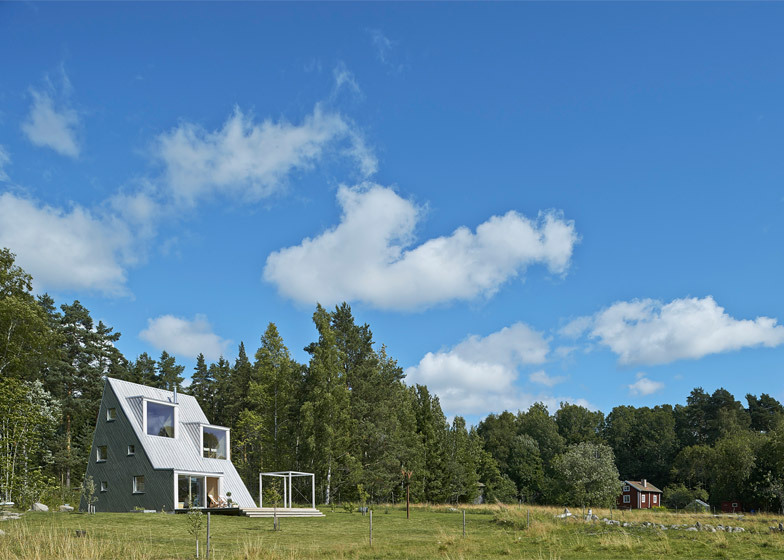 "Exploiting the view is obvious but architecture should deal with more than that and let its inhabitants be able to interact with their environment," explained Qvarsebo. 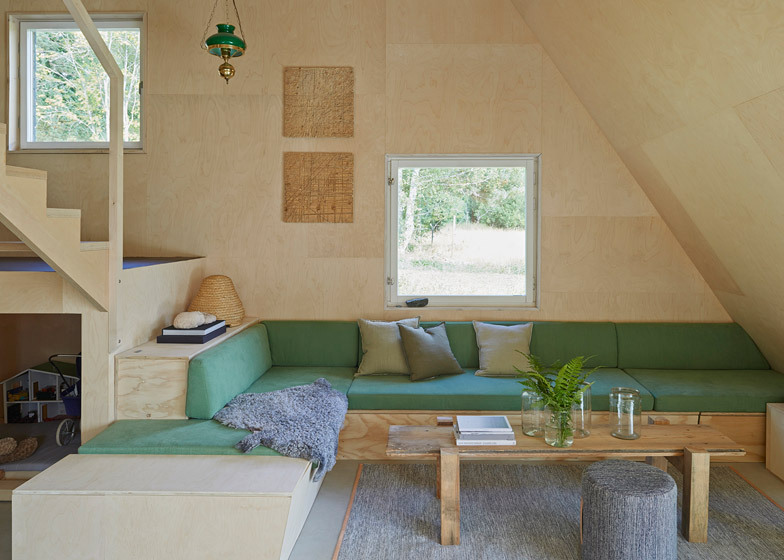 "The house is a bit like a treehouse for adults," he continued. 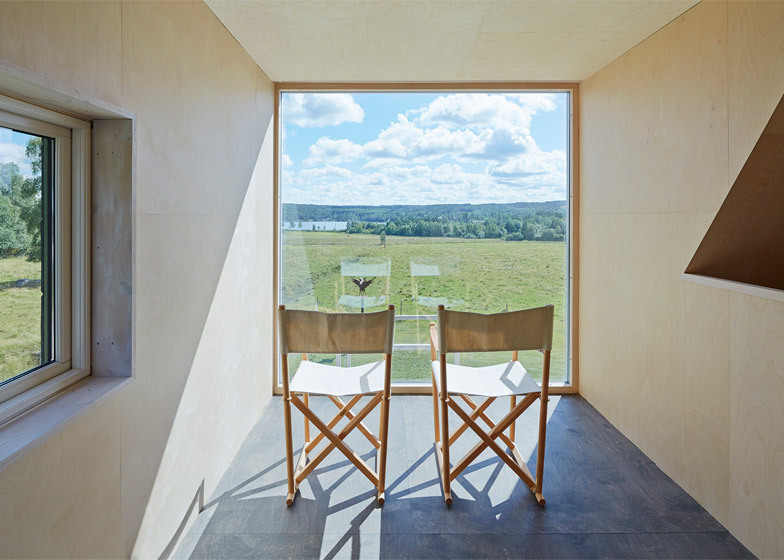 "The climb to the top is via several levels and offers both views and privacy. 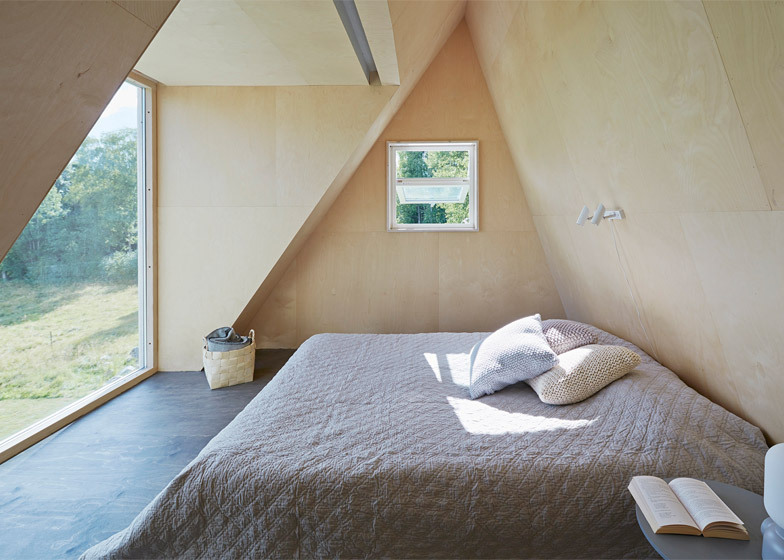 From each level of the house you can see up to the next, creating a curiosity to continue to climb and once you're up, the view is breathtaking." 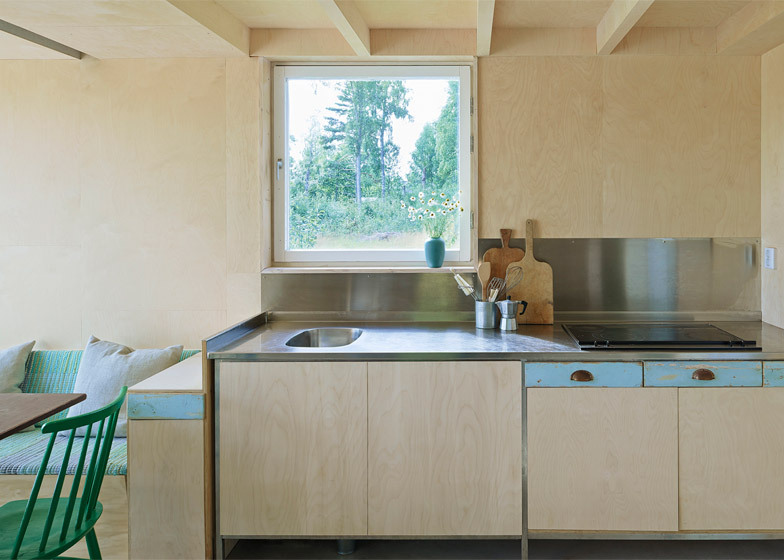 According to Qvarsebo, these bay windows accommodate the three requirements of the self-initiated brief, which he lists as "cooking outdoors and indoors, a quiet reading area and a bedroom beneath the stars". A storage area is slotted into unused ceiling space above the ground floor, while the two children's rooms are located up another half-flight of stairs. Qvarsebo's bedroom is located at the top of the building, accessed via a study on the mezzanine floor below.